A cinema in Marbella will start screening Russian movies in original version and subtitled in Spanish, in order to create business synergies and foster social integration of the various international communities who live in the popular Costa del Sol town. 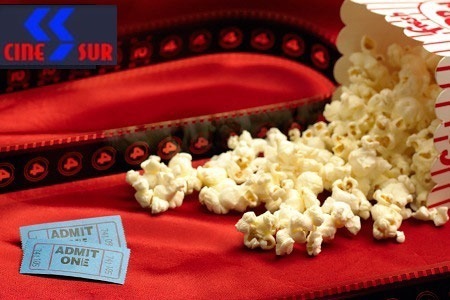 The Cinema, Cinesur Marbella, after obtaining a commercial and demographic report prepared by a consultant, has decided to move forward with this initiative, pioneering this kind of cultural project. Basically, will be screened new films but there will be also room for the “classic” movies. Currently, Russian movies are screened as a commercial experiment, with two sessions, and once seen the result, they expect to exhibit the films in original version on a monthly or weekly basis, and furthermore extend the offer and screen films in English and German original version. The upcoming movie “En la Niebla”(V tumane) by the director Sergei Loznitsa, Winner of the Critics Award at the Cannes Film Festival, will be screened on June 5 and 6 at Sala 4 in Cinesur Marbella. The Costa del Sol is home to approximately 20,000 Russian families; currently, about 1.300 Russian citizens have their holiday homes or permanent residence in Marbella. In the same line, took place in January this year the first edition of Marbella Russian Film Fest where was screened a selection of the latest Russian movies.